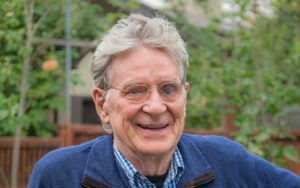 Robert Thurman brilliantly elucidates and vividly brings to life the many dimensions of the Kālachakra Tantra in this special series of study and practice Intensives. 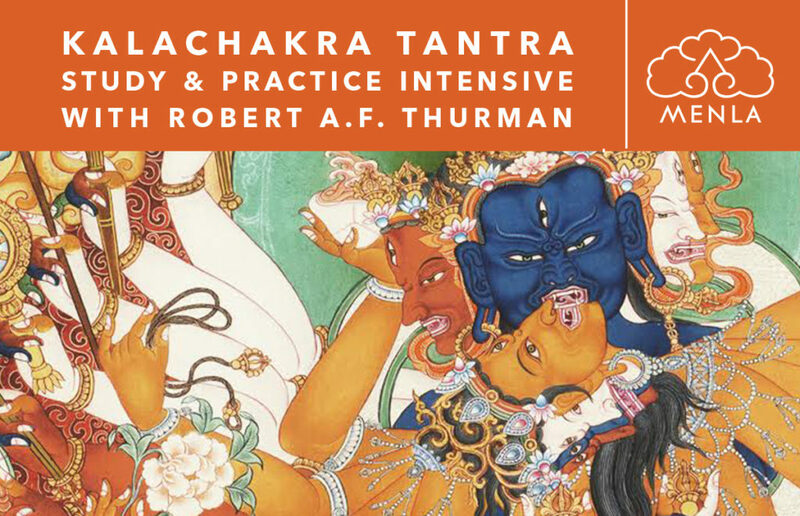 The 2019 Kālachakra Spring Intensive focuses on a special Kālachakra Mind Mandala sadhana practice which Dr. Thurman himself uses and deeply explores with all participants. 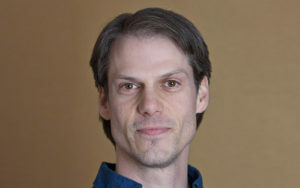 This retreat is intended and reserved for those who have participated in any Kālachakra Initiation with His Holiness the Dalai Lama or another qualified lama, taking the requisite lay, bodhisattva, and tantric vows, and who are interested in deepening their understanding and practice of the Kālachakra Tantra.Thurman has attended over a dozen Kālachakra initiations and has led small groups through the complex initiation process conferred by the Dalai Lama, shedding light on its underlying philosophy and its complex symbolism. Having been preserved for centuries in the fabled kingdom of Shambhala, the Kālachakra Tantra is an Unexcelled Yoga Tantra system of teachings which is believed to originate directly from Shakyamuni Buddha and which revolves around the concept of cycles (chakra) of time (kāla), from the cycles of the planets and the outer world to the cycles of human breathing and our physical-spiritual development.It teaches the practice of working with the most subtle energies within one's mind and body on the path to enlightenment, through famously complex deity yoga which helps practitioners with a basic understanding of emptiness dissolve their ordinary sense of self and re-create themselves in the ideal form of the Kālachakra deity pair in union, who represent omniscient Buddhahood--the union of great bliss and the wisdom perceiving emptiness. Since Kālachakra is time itself, and everything manifest is under the influence of time, Kālachakra Buddha is experiential knowledge of all manifest reality. Vishvamata, his spiritual consort and complement, is aware of all that is timeless, not time-bound, or out of the realm of time. In yab-yum union, they are temporality and atemporality conjoined and represent the full glory of the ultimate nature of reality, compassionately abiding in a vast multidimensional mandala rich with symbolic meaning.In this Kālachakra Intensive, Dr. Thurman will focus discussion and contemplation-based lectures on unpacking the very center of the mandala, the Mind Mandala, within the larger context of the Kalachakra and pulling from several textual sources to enrich our remembrance of our experience of the initiation and of entering the mandala and beholding Kālachakra-Vishvamata. While emphasis is on working with students to ensure they understand all the symbolic elements of the practice and iconography, plenty of time for actual practice and mantra accumulation is allotted. Afternoons will include free time after lunch for spa treatments, further personal practice, and optional student-led discussions. The retreat will conclude with an instructional puja and celebration lead by Thurman.Join us in the breathtaking hidden mountain valley of Tibet House’s Menla retreat and spa, for this personally transformative and very inspiring retreat intended to help initiates, from total novices to more advanced practitioners, deepen their connection to, their understanding of, and ultimately their embodiment of the magnificent reality of Kālachakra-Vishvamata.Please bring your own vajra, bell, damaru, and inner offering vessel (ritual skullcup).